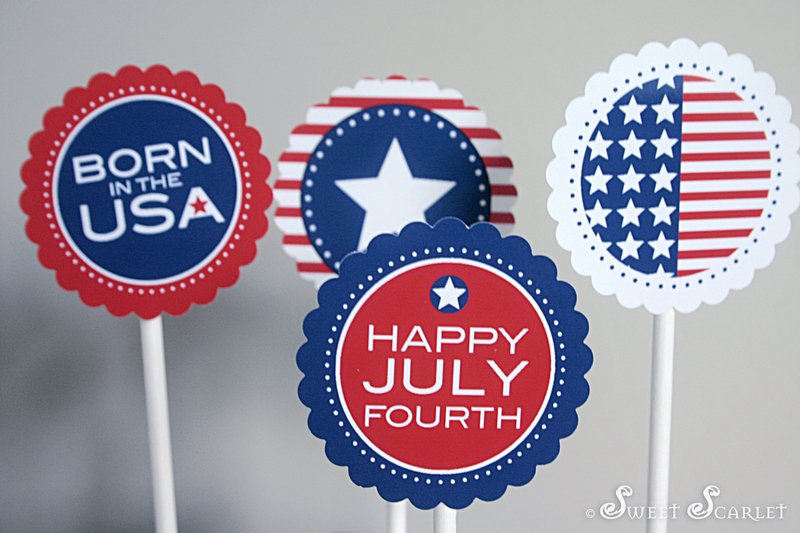 Sweet Scarlet: Happy 4th of July! 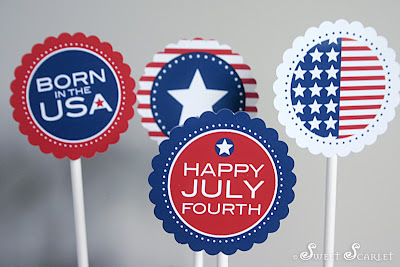 I designed these cupcake toppers and ran out of time to bake the cupcakes to put them on! Happy 4th of July to all my USA friends - and especially to my daughter, Georgia, my little California Girl, who was 'Born in the USA' – Orange County no less! Hope you all have a fab & fun celebration with family & friends.